Looking for unique ideas to give to the bride-to-be? Download exclusive chapters of some of our best resources for engaged couples and newlyweds. Imagine giving the bride you know a gorgeous keepsake. 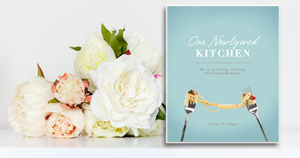 This unique book includes timeless wisdom for the heart of your home—the kitchen—with space for you and others to insert recipes, prayers, Scripture, and memories. Take a moment to introduce yourself below, and receive the FREE downloadable collection. We promise to never sell or lend out your information. Thank you for telling us about yourself; we hope you enjoy these free resources.